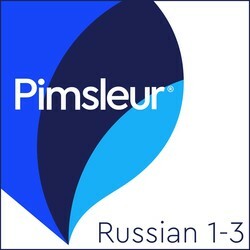 This program includes all of Russian Levels 1, 2, and 3. With this program you start from zero, first learning survival phrases and vocabulary, and eventually progressing to a high-intermediate level of speaking and understanding Russian. Reading Lessons are included at the end of Lesson 30 for each Level. These lessons, which total about three hours, are designed to give you practice sounding out Russian and then to help you progress to reading for meaning. They also provide extensive additional vocabulary. 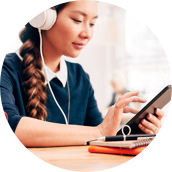 Before you know it, you’ll be reading Russian with the ease and flexibility of a native speaker.